We've made several stained glass style decorations in the past including these butterflies, but this is the first card we've created using the same technique. To make these we used a sheet of contact paper (sticky back plastic), tissue paper & a sheet of A4 card. We drew a heart outline on the contact paper using a heart shaped cookie cutter as a template & then peeled off the backing paper. Minnie added tissue paper to decorate the sticky side of the heart. 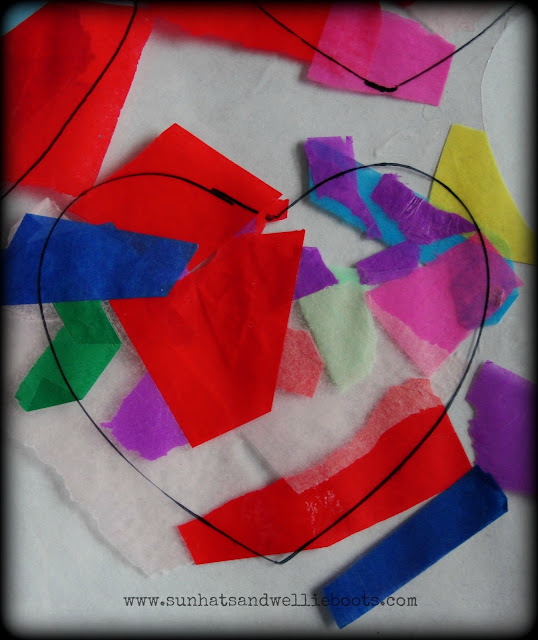 Once she had finished she added another layer of sticky plastic over the tissue paper to seal, & cut her heart shape out. To make the card we folded our sheet of A4 red card in half & drew around the cookie cutter again on the inside of the card. 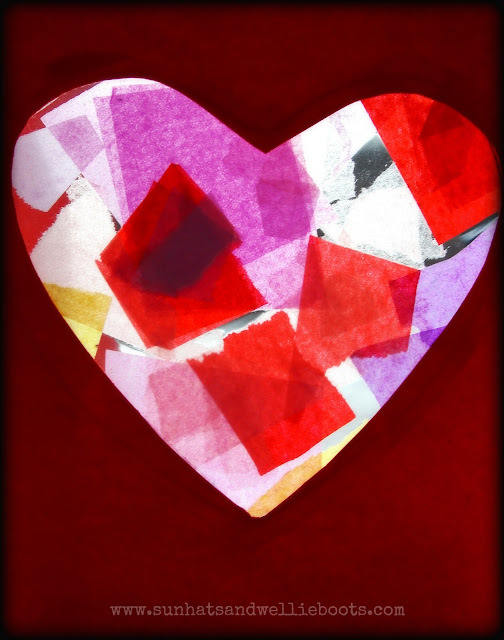 I drew a slightly smaller heart inside this shape & cut it out. To attach our tissue paper heart we glued around the cutout & pressed it onto the card. 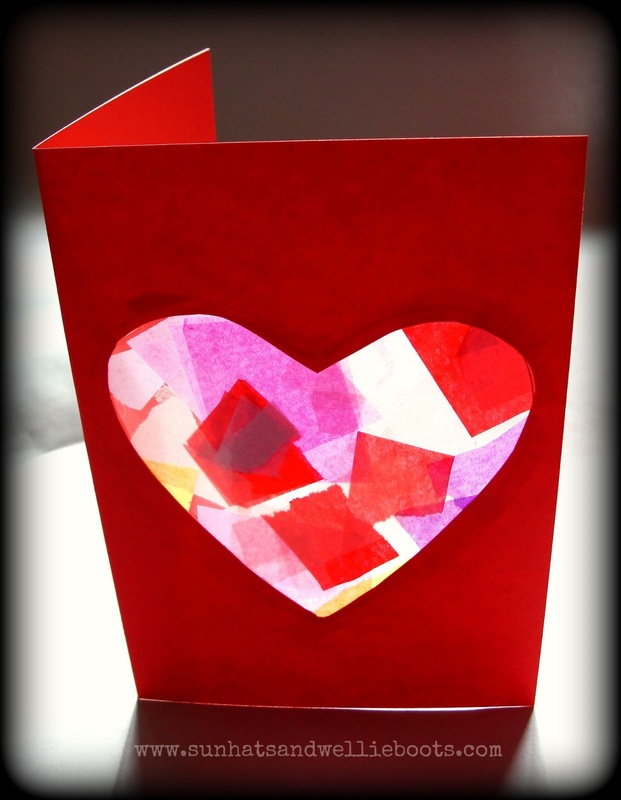 Our illuminated heart was ready to post off to someone special & shine a little love in their part of the world!